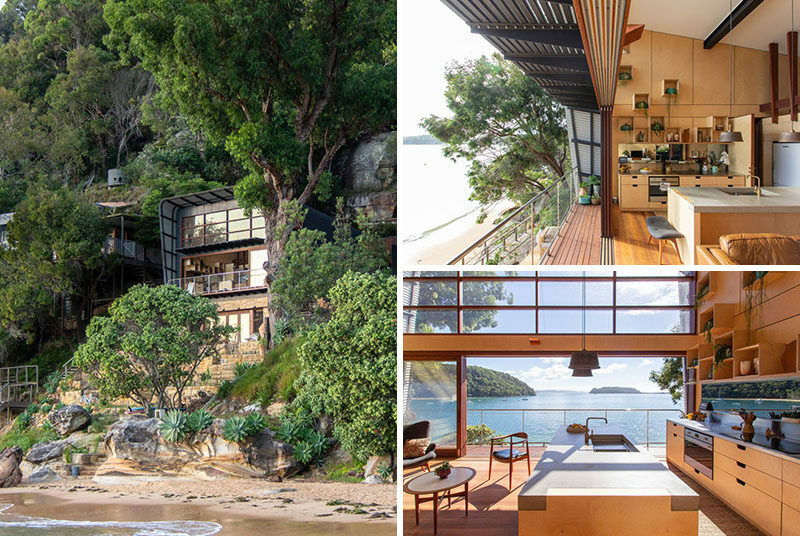 Casey Brown Architecture has designed the Hart House, a modern Australian beach shack, located on the shoreline of Great Mackerel Beach, that’s only accessible only by water. 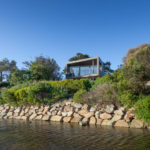 The form was derived from a wrapped box open to one side which provides the building with a protective corrugated aluminium shell, protecting it from the harsh salt environment, cold winter southerly winds, and bushfire prone landscape. 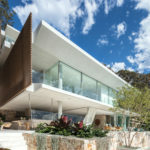 Only one side of the box is left fully open, allowing the home to face towards the sun and the view. 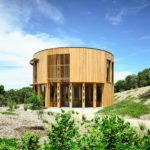 The main room of the house has a double height dining, kitchen and living space, which has a utility pod within it, containing the bathroom and pantry, and housing a loft mezzanine space above. 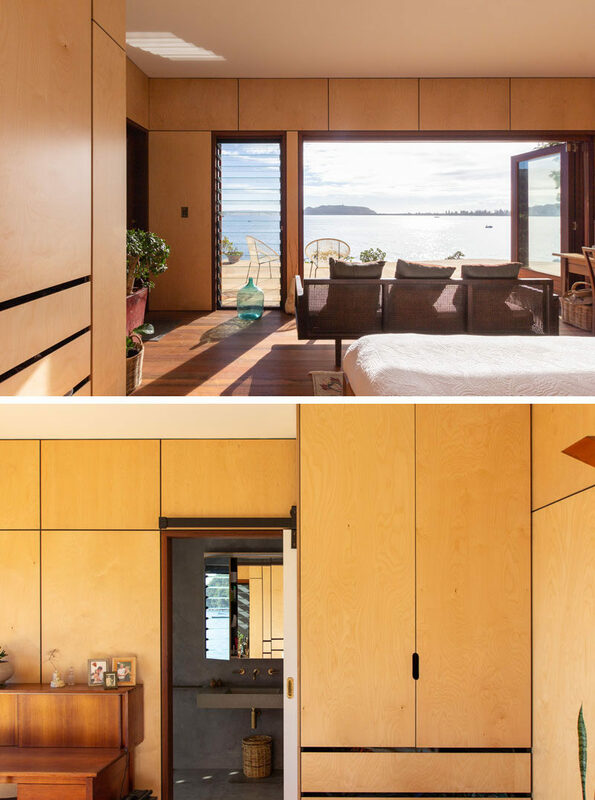 The interior of the house is lined in birch plywood, with timber flooring, and concrete benches completing the rugged and durable interior. 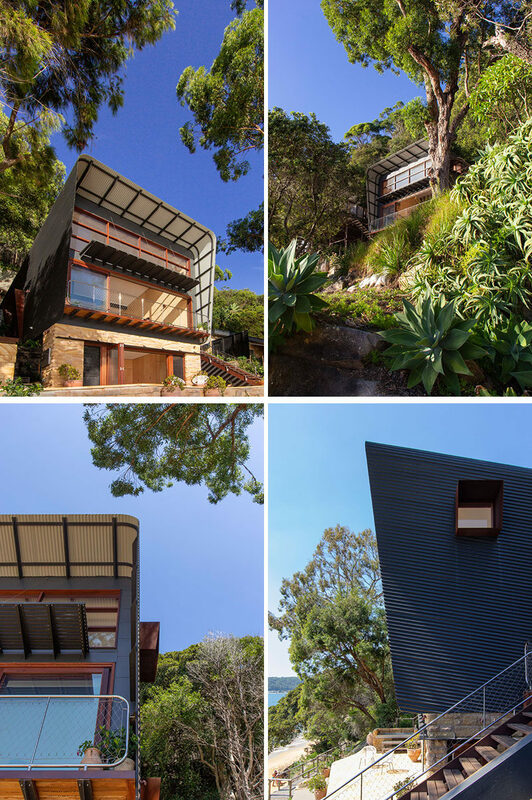 Spotted gum has been used extensively both internally and externally, as flooring, decking, and to construct the doors and windows. Directly below the living space is the master bedroom, which opens onto a sandstone terrace constructed from stone from the site.